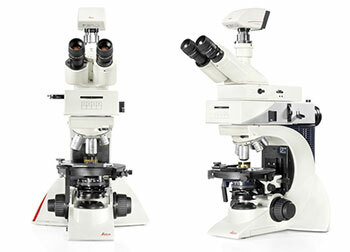 This polarization microscope combines high-quality optics with state-of-the-art universal white light LED illumination for incident and transmitted light applications. Due to its flexibility, the Leica DM2700 P meets the needs of both basic to advanced examinations where high-quality polarization equipment is required. Through its wide range of accessories it is the ideal inspection tool for all kinds of routine inspection tasks in earth science, plastic and polymer industry, liquid crystal inspections and further more.